This Australia Day highlights for some of the best domestic journeys that showcase our sunburnt country. Choose between the Twelve Apostles Eco Walk, the Bay of Fires walk and the Arkaba Wilderness Safari. 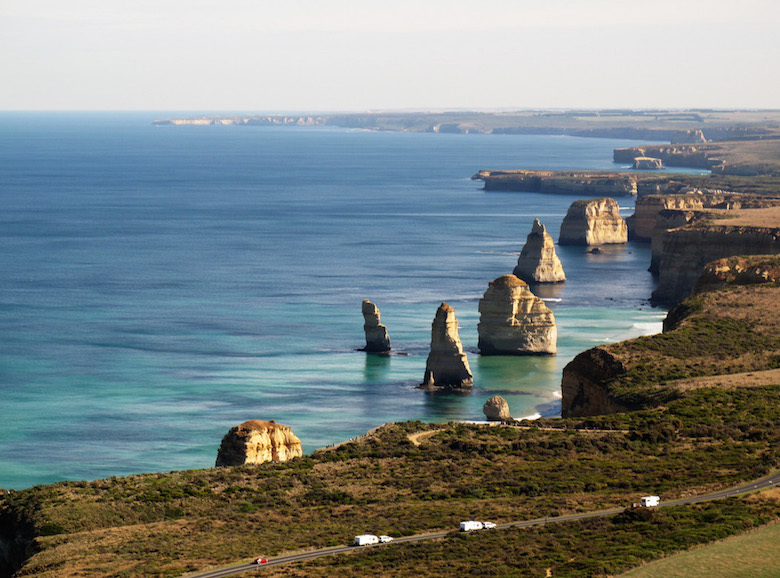 Experience the iconic Great Ocean Road and traverse the most picturesque sections of the Great Ocean Walk with expert guides. This six-day journey allows you to witness the stunning diversity of flora and fauna amongst the rock pillars of the Twelve Apostles. Travellers will meet like-minded hikers at the eco-chic walking lodge and have daily walking itineraries tailored to their particular needs. Meander through tunnels of forests, climb up ridges and feast your eyes on rewarding coastal views. There will be scenic locations for picnic lunches, as well as a 10-minute scenic helicopter flight over the Apostles. Return to Melbourne and relax with a private tour to the Yarra Valley – Victoria's premier wine region. Tasmania offers plenty for the active traveller and this journey kicks off with a round of golf at on of the world's top golf destinations: Barnbougle. Enjoy 18 holes with cart hire at The Dunes, rated #2 golf course in Australia and #11 in the world, this course has been designed to emulate the courses of Scotland and Ireland. Next venture to the East Coast – one of Tasmania's most breathtakingly beautiful locations. Pristine beaches, bushland and coastal wilderness provide the backdrop to this well-paced and varied walking tour. A range of accommodation from an ecologically-designed lodge set in outstanding coastal wilderness to the luxurious modern comforts of a picturesque country estate brings each day's activities to a delightfully comfortable conclusion. Gourmet meals prepared by expert guides are another highlight. Combine a professionally guided outback hiking adventure with the natural beauty of Kangaroo Island. The luxury hike offers both deluxe swag camping under the stars and gracious hospitality at renowned Arkaba Station Homestead. Your guide and camp assistant will prepare a three-course alfresco camp dinner. Walks, which include a section of the famous Heysen Trail, are graded moderate to challenging, and your luggage is transferred by vehicle between camps: you carry only your lunch, snacks and water. Afterwards, reward yourself with a luxury two-night stay at Southern Ocean Lodge with the opportunity to explore Kangaroo Island - the Galapagos of Australia. The 21-suite escape features an environmentally-sensitive design, eco-chic interiors, premium lodge facilities, personal service, contemporary dining and a signature space retreat. You'll also discover the magnificent coastal scenery and abundant wildlife for which the Island is renowned. It's the ultimate fusion of nature and luxury. You’re bound to make mistakes on your first solo trip, but you can learn from previous travellers. Monica Stott, founder of thetravelhack.com, has learned a fair bit. Here she shares her top ten hacks. Pre-order a special meal, such as a vegetarian or vegan meal, on flights. Special meals are served first so you’ll get your food faster, allowing you to nod off sooner than your seatmates if you’re keen to get some rest. The vegan meals are usually healthy, light and delicious, which helps you to avoid that groggy, bloated, post-flight feeling that tends to be a by-product of indulging in a rich plane meal. Did you know that solo travellers are more likely to get upgraded on flights? You’re also more likely to be upgraded if you look the part, so wear the smartest clothes you’re travelling with to the airport (you can always pack a more comfortable set of clothes in your hand luggage to change into after you check in). It’s also worth asking at check-in if any upgrade opportunities are available. While it is more difficult to score upgrades these days unless you’re a frequent flyer, if you don’t ask, you don’t get! Airport lounges aren’t just for first class passengers; you can often buy yourself into them for a bargain. In the UK, airport lounge passes start from around £25 and include perks such as unlimited snacks and alcohol, wi-fi, magazines, and a quiet and comfortable space to relax before your flight. Using lounges during long layovers offers particularly good value, as it doesn’t typically cost much more than you’d spend on food and drink elsewhere in the airport. You’ll undoubtedly use your phone a lot while you travel, so pack a portable charger. Make sure to have a way to contact someone in an emergency, and use your phone’s GPS for directions. Portable chargers are cheap and lightweight and you’ll thank yourself when you’re trying to call a taxi at 3am with only 2% battery remaining! Flashy new devices with crisp, clean cases attract thieves, which is the last thing you want when you’re travelling solo. Avoid unwanted attention by making your expensive gadgets look less pricey than they really are – cover your camera in stickers, and buy cheap cases for your smartphone and your tablet and scuff them up. Slap a 'fragile' label on your luggage to prevent it from being handled roughly in transit. Adding this label will typically also see your luggage delivered to the baggage carousel - it's often the case that special luggage and equipment is the last to be placed in the aircraft's hold, which means it will be the first to be taken out again. As soon as you arrive at your hotel or hostel, grab a business card from the reception desk with the hotel's address and phone number. If you get lost, you can jump in a taxi and give the card to your driver to ensure you get back to your hotel safely. If a business card isn't available, ask a member of reception staff if they could write down the address in the local language for you. Make sure to then keep the information somewhere handy when you head out to explore. If you have a contract phone, ensure it is unlocked before you travel. This means you’ll be able to use any SIM card from any mobile network across the world. Pick up a local SIM once you arrive and you’ll avoid roaming fees and enjoy cheaper calls and texts – you can find SIM cards at the airport and convenience stores in touristy areas. Adopt this travel hack if you’re a frequent traveller and don’t want to forget those all-important essentials. When you return from a trip, leave key items in your suitcase. Items such as your passport, plug adaptors, miniature toiletries and insurance documents can stay in your case because you won’t need them at home, and leaving them in your case means you’ll never forget to pack them. Most cities have free walking tours, and these tend to attract other solo travellers. 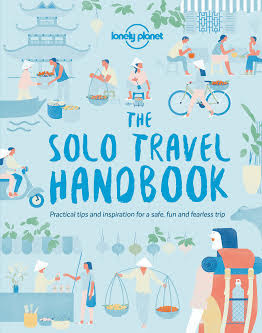 Solos usually stick together once the tour is over and go for drinks or dinner together, so it’s a great opportunity to meet like-minded travellers while simultaneously avoiding the anxiety of dining alone on your first night in town. To find out more and get top tips for travelling solo, visit www.lonelyplanet.com/explore-every-day. 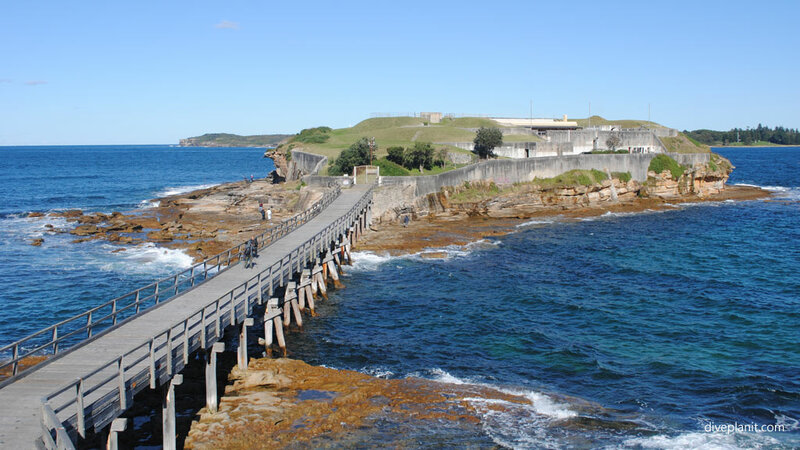 With more than 2,000 kilometres of stunning coastline, NSW has an abundance of impressive scuba diving spots. Dive with sea turtle in warm tropical waters in the Tweed region, discover the world’s most southerly coral reef at Lord Howe Island, and swim with seals at Montague Island on the South Coast. NSW has many licenced dive operators that offer dive training courses, dives, tours and equipment hire. Dive sites up to 18 metres are good for beginners and up to 40 metres are recommended for advanced divers. Shelly Beach on Sydney’s Northern Beaches near Manly is a great beach dive, perfect for beginners, and is home to giant cuttlefish, wobbegongs and weedy sea dragons. For experienced divers, The Leap in Botany Bay National Park at Kurnell is a thrilling shore dive that includes a 22-metre drop-off, populated with boulders and overhangs, some of the clearest water in Sydney, large schools of fish, lots of seahorses and some magic swim throughs. Gordon's Bay near Clovelly is an underwater 600-metre nature trail marked by a chain connected to concrete-filled drums. There are information signs along the way as well as friendly gropers. Broughton Island near Port Stephens has several spectacular dive sites. The popular Looking Glass is a narrow channel through the centre of the island that opens up into a natural fishbowl. Look for large rays, blue groper, red morwong, bullseye and bream. Nearby at Nelson Bay, the main feature of the Fly Point-Halifax Park Aquatic Reserve is a 100-metre sponge-covered ledge with schools of bream, nannygai and blue groper. 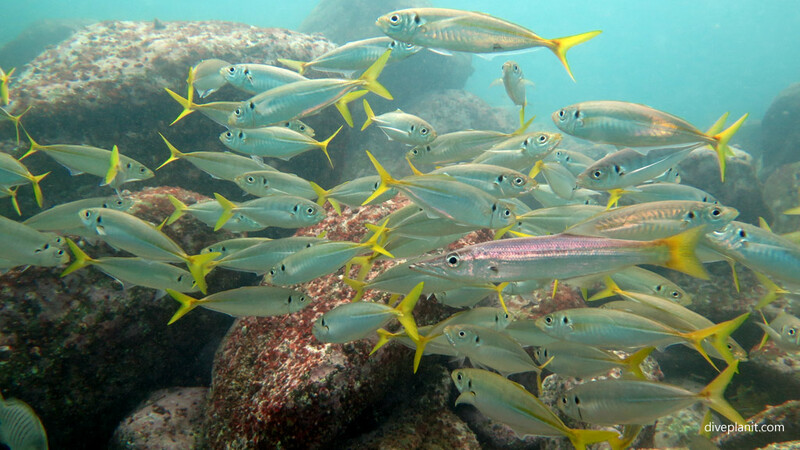 The Solitary Islands Marine Park in Coffs Harbour is home to a unique mix of more than 550 fish, 90 corals and 600 molluscs. South West Rocks on the North Coast is home to Fish Rock Cave, running 125 metres through Fish Rock, teeming with sea life including black cod, black rays and giant cuttlefish. At Byron Bay, in the Cape Byron Marine Park, Julian Rocks Marine Reserve is often ranked as one of Australia’s top dive sites with its fish, turtles, eagle rays and corals. During the Winter, whale song can be heard underwater. Lord Howe Island is one of the best dive locations in the world with over 60 dive sites. The most spectacular is Ball’s Pyramid, where advanced divers can go on drift and cave dives, and follow a coral wall. Expect to see massive schools of violet sweep, amberjack, kingfish, silver drummer, rainbow runners, trevally and occasionally marlin, dolphins and wahoo. The island’s shallow lagoon is great for snorkelers, novice divers and underwater photographers keen to see anemone, lionfish, slipper crayfish, the rare Coleman’s pigmy seahorse, spotted snake eel and beaked leatherjacket. Jervis Bay, on the NSW South Coast, is a Marine Park with more than 20 shore and boat dive sites. The area has an abundance of kelp beds, large boulders, small caves, drop-offs, shear coral walls, sponge gardens, ship and plane wrecks, and swim throughs. Between May and October, you can dive with seals. Bass Point, at the southern end of Shellharbour, is a marine aquatic reserve and one of the South Coast’s dive and snorkel hot spots. Good for beginners. Off the coast of Narooma, Montague Island Nature Reserve is renowned for its 1,600-strong seal colony. You’ll also see stingrays, bull rays, blue gropers and wobbegongs. Divers can expect water visibility of between 20-30 metres year round, and it’s also a great place to see humpback whales heading south to Antarctica in October.